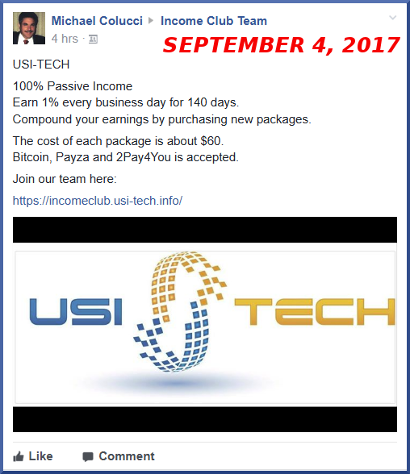 In a bizarre twist following this weeks' “USA Kickoff meeting” USI-Tech members members are flooding social media publicly touting the fact the multi level marketing company has purportedly obtained legal opinion its' 1% daily ROI for 140 days (140%) offer complies with US securities laws and is compliant with FTC regulations. Having been responsible for issuing cease and desist demand letters against critics of the since collapsed ponzi scheme My Advertising Pays the Elmhurst, Illinois based law firm of Hart David Carson LLC has been named as the source of legal opinion claiming USI-Tech is "compliant with US securities law"
One wonders if this will evolve into a similar scenario as that which engulfed well known MLM attorney, Gerald Nehra who settled a $100 million dollar lawsuit with the court appointed Zeek Rewards receiver, following his claim Zeek was "legal" and who is facing a jury trial over his similar claims with regard to the multi million dollar TelexFree fraud. Geez, if you didn't have proof of USI-Tech being a ponzi before, you have now. Good luck to anyone who believes a word he says. Last edited by littleroundman; 09-03-2017 at 10:50 PM. HINT FOR NEW PLAYERS: you can save yourself a lot of time and trouble by simply ripping up your money and throwing it in the bin. get started with as little as 50 Euro or about 60 USD. but nonetheless, this is great news. an exchange service to help folks fund their Bitcoin wallets. diversify their passive income producing portfolio. ...100% legit 8 year old company out of Dubai. ...Daily payouts to your Bitcoin Wallet. If you want to recruit, the referral plan is very generous. just hearing about BTC so the Payza option is a blessing. and the next few years. 2. Click on "REGISTER" and enter your name and email address. email" which provides a link to activate your account. on "Change" to add your username. Rebuy" is set to the "ON" position. You couldn't beat the skin off a rice pudding with a hand like that. okosh, shipdit, Char and 1 others like this. Jamison Palmer is thanking his lucky stars he got out of Thailand before the Thai Authorities shut down UFunClub/UToken, the program that he swore up and down was totally legit and when the crap hit the fan was assuring everyone that it was just temporary and UFunClub/UToken wold win once the authorities understood the business model. Funny how he went silent for about 9 months before sticking his head up out from the under rocks he crawled under to avoid the heat of all his lies on UFunClub/UToken. Wonder how many of his marks he had conned into USI-Tech? I'm sure he is telling them this is their way to get back what they lost in UFunClub/UToken. He needs to be put in prison as he is a detriment to society. Impossible. no one can possibly mentor the slob..........he's the greatest. just ask him. 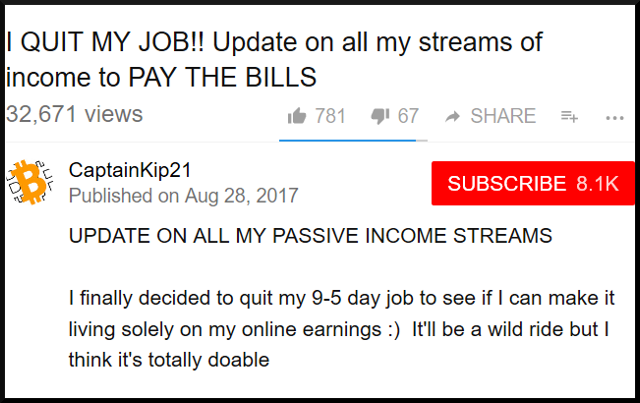 https://www.youtube.com/watch?v=YOP-FMPyBHg Look at this nit wit, claims to have quit his job for this ponzi scam. Hes a perennial ponzi pimp, check his other videos out. Hes either lying, which wouldnt be a shock or hes in on the scam, either way hes a total scammer. Oh - bloody - dear. path2prosperity, shipdit, Bestbud and 1 others like this. Kyle is 3 pancakes short of a short stack, and that's on one of his better days. shipdit, Bestbud and wayne1983 like this. You got to laugh at the comments though. But seriously if it were me, i'd take a look at all his videos and think hmm a lot of his online adventures have gone belly up, ill give it a wide berth. Nooo not online, people go back for more lol, there is some right thick planks about! Well, USI-TECH can "claim" it is approved by the SEC, but I guess they forgot that the SEC has not heard of them. If you do a name search for approved companies on the SEC website, you will get NOT FOUND. I am sure it is all a big mistake and the SEC just hasn't updated their system yet to show them being registered and legal. cough, cough. 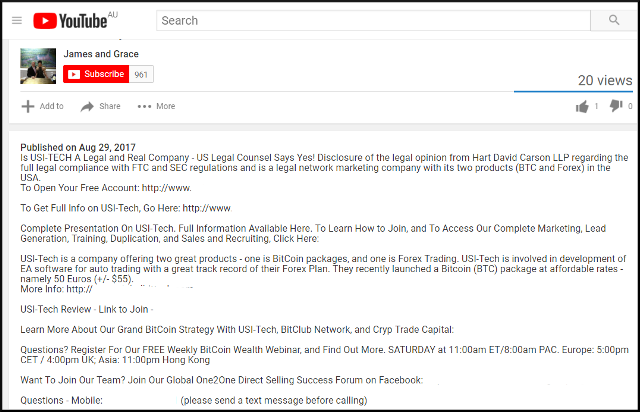 Has anyone let the SEC in on this claim by these scammers. In the comments of post above SCAMville claims TM is just a "victim" of a smear campaign. He gets more & more out there on a daily basis. he has to play that card. he knows he's going to jail. finding an opportunity that is REAL and will be with us for a long time. DO NOT procrastinate like I did. Start earning today. April and it is copied below. a reliable additional income stream. believe USI-Tech can and will sustain. It's really quite simple. The payout plan is one of the best available. use to produce more revenue and ongoing payments to the members. Is it worth joining if I cannot afford to purchase a lot of packages? getting started because programs like USI-Tech are extremely rare.